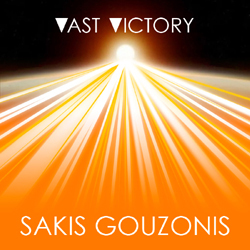 Sakis Gouzonis releases his 5th studio album titled Vast Victory. His 5th studio album contains ten original instrumental electronic tracks, for a total playing time of 38:50 (m:s). All music tracks were composed, orchestrated, performed, recorded, mixed and mastered by Sakis Gouzonis in his recording studio located in Elassona, Greece. Vast Victory contains ten beautiful instrumental electronic music tracks. "…‘Strong’ is a very melodic and well-produced song… ‘Like The Sun’ would be the perfect song for the end of a sad movie, leading into the credits… ‘Everyday Protection’ has the perfect pop music structure… Gouzonis is an excellent producer and songwriter…"
Vast Victory is available in MP3 format (320 kbps). Five years ago, on 17 October 2007, Sakis Gouzonis created his MySpace page. Today, Sakis Gouzonis&apos; MySpace page has more than 345.000 friends in 219 countries and territories. Sakis Gouzonis&apos; MySpace page is still the most popular Greek music page on MySpace, as well as one of the few very successful music pages internationally. MySpace is the world&apos;s largest music social network. It was launched in August 2003. In 2005, it was purchased for $580 million by Rupert Murdoch, creator of a media empire that includes 20th Century Fox and the Fox television stations. On 29 June 2011, Specific Media, a digital media company, acquired MySpace from News Corporation. MySpace is headquartered in Beverly Hills, California. Sakis Gouzonis releases his 4th studio album titled Ultimate Love. His 4th studio album contains ten original instrumental electronic tracks, for a total playing time of 39:58 (m:s). All music tracks were composed, orchestrated, performed, recorded, mixed and mastered by Sakis Gouzonis in his recording studio located in Elassona, Greece. Ultimate Love contains ten beautiful instrumental electronic music tracks. "…One thing I love about this CD [The Tree Of Life] is that it causes my brain to think in images rather than words as I listen… It&apos;s not simply the lack of lyrics that causes that, but the vibrant and evocative tones that Sakis chooses. He is able to create a living, visual landscape through his music, which seems rare for electronica…"
Ultimate Love is available in MP3 format (320 kbps). On 17 October 2007, Sakis Gouzonis began promoting his music on the internet without any assistance from record labels, management/booking agencies or marketing companies. Today, 1465 days later, 300.000 people from 219 countries and territories have become fans of his music, and support him online in every way that they can. It would take 7 Panathenaic stadiums to fit them all. The 300.000th fan comes from France. Four years ago, on 17 October 2007, Sakis Gouzonis created his MySpace page. Today, Sakis Gouzonis&apos; MySpace page has more than 285.000 friends in 219 countries and territories. Sakis Gouzonis&apos; MySpace page is still the most popular Greek music page on MySpace, as well as one of the few very successful music pages internationally. Sakis Gouzonis participated in the Composition Competition 2010 with two of his music compositions, Eternal Peace, and Seed Of Hope. Sakis won 1st Prize for his original music composition Eternal Peace, and 1st Prize for his original music composition Seed Of Hope. On 17 October 2007, Sakis Gouzonis began promoting his music on the internet without any assistance from record labels, management/booking agencies or marketing companies. Today, 1115 days later, 200.000 people from 217 countries and territories have become fans of his music, and support him online in every way that they can. It would take 5 Panathenaic stadiums to fit them all. The 200.000th fan comes from Spain. Three years ago, on 17 October 2007, Sakis Gouzonis created his MySpace page. Today, Sakis Gouzonis&apos; MySpace page has more than 175.000 friends in 217 countries and territories. Sakis Gouzonis&apos; MySpace page is still the most popular Greek music page on MySpace, as well as one of the few very successful music pages internationally. 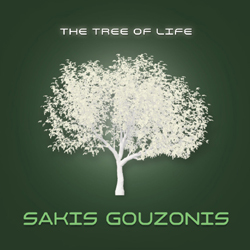 Sakis Gouzonis releases his 3rd studio album titled The Tree Of Life. His 3rd studio album contains ten original instrumental electronic tracks, for a total playing time of 39:37 (m:s). All music tracks were composed, orchestrated, performed, recorded, mixed and mastered by Sakis Gouzonis in his recording studio located in Elassona, Greece. The Tree Of Life contains ten beautiful instrumental electronic music tracks. "…One of the most popular artists on IMRadio, Sakis has given us ‘From The Sky,’ ‘Eternal Peace,’ and ‘Elohim.’ These instrumentals can mesmerize and inspire any listener anywhere on the globe…"
The Tree Of Life is available in MP3 (320 kbps) and CD format. Sakis Gouzonis participated in the UK Songwriting Contest 2010 with two of his music compositions, Elegy, and Eternal Peace. There were over 5.000 entries this year from the United States of America, Canada, South America, Australia, New Zealand, Asia and Europe. Sakis won a Semi-Finalist Award for his original music composition Elegy, and a Semi-Finalist Award for his original music composition Eternal Peace. The 2010 judges were Richard Niles, Simon Ellis, Lesley Douglas, and other music professionals.